Last night, the curtains closed for a final time at Bournemouth's ABC Cinema. The cinema group it once belonged to had disappeared years ago, merged into the massive Odeon chain. 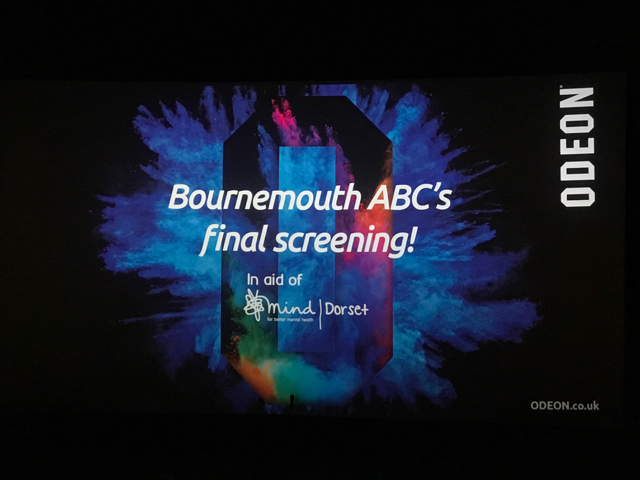 Bournemouth's ABC had managed to keep its name to avoid confusion with the Odeon cinema up the road. However, with a brand new Odeon complex opening shortly nearby, time had been called on the ABC. The ABC Cinema has been a part of my movie-going life for as long as I can remember. It boasted three screens - Screen 3 seated 170 people, Screen 2 could entertain 264. Then there was the jewel in the crown - Screen 1, a vast auditorium that could accommodate a capacity audience of 634. Every film performance was an event. 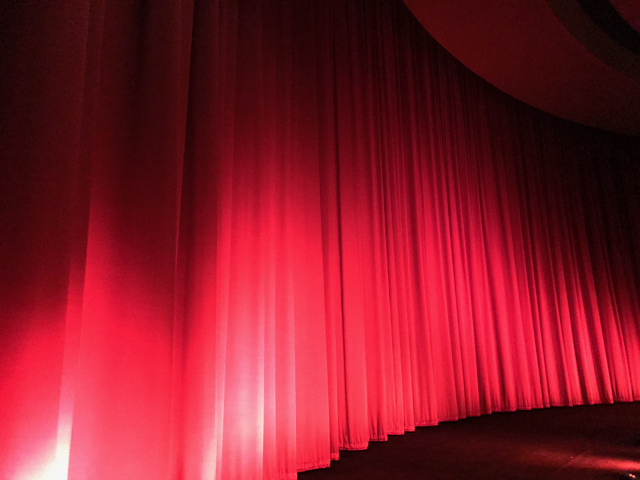 As the lights began to dim, the ceiling-to-floor, crimson velvet curtains would dramatically part, revealing the mammoth curved screen. I loved Screen 1. It was on that magnificent silver screen that for the first time, I saw many of my favourite films - Raiders Of The Lost Ark, The Shining, Blade Runner, Heat. I reviewed films for local radio back in the late '80s and '90s. Press shows would happen a week or two before a film's general release, when a handful of us critics would be treated to late-night exclusive showings after the cinema emptied. During the summer of 1989, there was a wild first public showing at midnight of Batman in Screen 1. Some of the audience were dressed up as the Caped Crusader, others as The Joker - chasing each other up and down the steps of the cinema. There was polite applause through the opening credits but when a simple caption came up onscreen - GOTHAM CITY - the place erupted into cheers. It was more rock show than film show. 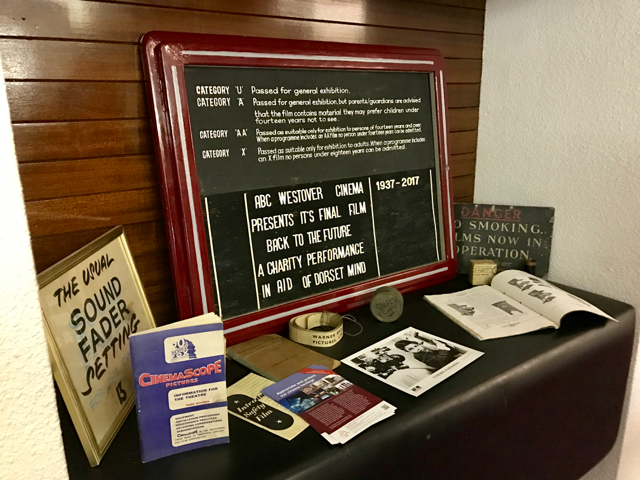 I was fortunate enough to attend a couple of 70mm presentations at the ABC. There was an industry-only screening of Far And Away in '92 and a few years later, a showing of Kenneth Branagh's Hamlet - both presented with breathtaking clarity in the high resolution film standard of 70mm. 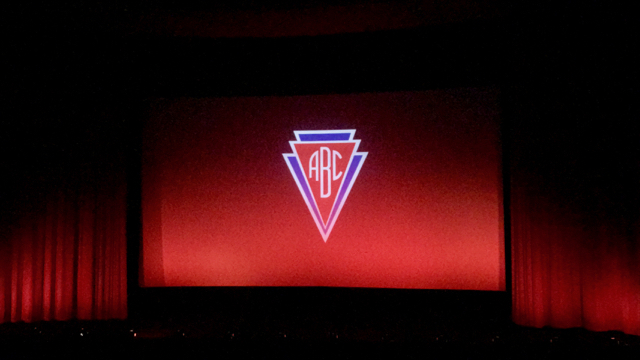 Last night wasn't to be a wake but a celebration of 70 years of the ABC Cinema . Glasses of champagne were handed out, bags of popcorn left on every seat and a huge cake in the foyer, made in the shape of the ABC logo. Before the film, there was a compilation of vintage ABC idents and trailers. As the curtains closed and then opened again for the main feature, there was spontaneous applause. The last film to be projected in Screen 1 was chosen by the public. From the varied short list (which, amongst others, included Top Gun, The Wizard Of Oz and Some Like It Hot) I voted for Lawrence Of Arabia. It would have been terrific to see this classic widescreen epic up on the big screen - a fitting last film for such an auditorium. However, when the votes were counted up, Back To The Future emerged as the winner. Not a bad choice at all. It could have been worse - one of the other candidates on the list was Mamma Mia! 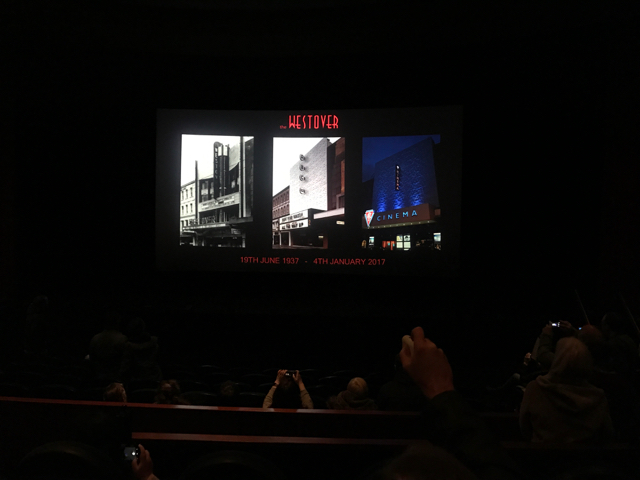 After the credits rolled, a bespoke caption - "19th June 1937 - 5th January 2017" - faded up on the screen and then faded away. And that was it. The projector would be powered down, the popcorn swept up, the lights switched off and the doors locked for a final time. I've had many good times seeing films at the ABC. It's the end of an era but - Great Scott!! - I still have the memories.